If you wish you had smooth, frizz-free, healthy looking hair with exceptional manageability, keratin services may be the answer. 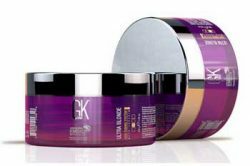 We are proud to be Winter Park’s exclusive provider for GK Hair® Global Keratin smoothing services. GK Hair® is the brand ranked No.1 worldwide in hair smoothing services. They are the first and only company to harness the beauty benefits of Juvexin®, which is derived from pristine sheep wool through an environmentally friendly process. Juvexin® contains intact keratin molecules both small and large. The smaller molecules penetrate the cortex, improving and restoring hair from the inside out, while the larger molecules wrap around the outside cuticle layer of the hair, creating a protective shield against free radicles such as UV rays and pollution. GK® Hair taming and smoothing services are beneficial to all hair types with beautiful results. Even the application process has been simplified as compared to other treatments on the market, resulting in less time in the salon for guests who desire smoother hair. Following a treatment, guests can expect reduced frizz and home drying time with added shine and healthy manageability. How do I know if I’m a good fit for a GK® Hair taming service? GK® Hair taming services are right for all guests with any texture or density of hair who desire smoother, shiny hair that is easier to dry and straighten in less time with lasting results. It eliminates frizz and excess curl patterns and keeps hair straighter in humid conditions. Can men use this service as well? Guys can definitely achieve smoother, straighter results with this treatment. No, this will not permanently straighten your hair. However, it is a game changer for guests who would like straighter, smoother hair without having to turn to the harsh chemicals of traditional relaxers. 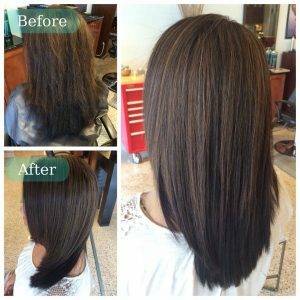 The process is damage free in the hands of a certified trained professional and actually leaves the hair in better condition after it’s been applied. To give an example of the distinction between the two; a relaxer can only be applied to the hair once, and overlapping previously treated hair must be avoided to not cause damage, but GK® Hair taming services are applied from root to end each time, leaving the hair saturated with more keratin with each successive treatment. No, GK® Hair taming services will gradually wash away over time. How long will the treatment last in my hair? GK® Hair taming service will generally last between 3 – 5 months depending on your home maintenance. The amount of wear will also depend on how often you shampoo or get your hair wet, and it is essential to use GK® Hair Shampoo and Conditioning products formulated with Juvexin® to both maintain the amount of keratin in your hair as well as prevent the acceleration of the removal of the treatment. Most guests only have to do this service 3 or 4 times a year with beautifully satisfying results. What kind of care does my hair require following a treatment? After receiving a taming service, guests are instructed to wait 2 days before washing their hair, and to wear their hair down at all times without use of clips or pony tail bands. If your hair should become wet, simply blow dry and go over it with a flat iron with medium heat. Remember, your hair will be styled and flat ironed as part of the service, so there should be nothing you need to do except enjoy beautifully shiny and straight hair!